My last post included the Three Musketeers for immune function from a food point of view; let’s focus today on two herbs well known for immune support. 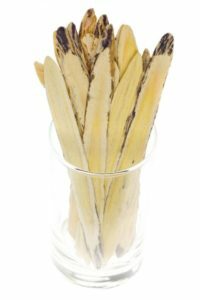 One you may be unfamiliar with is astragalus root (astragalus propinquus) which looks like a tongue depressor when you buy it at the health food store. It’s been known for centuries to help your body fight off bacteria and viruses and I love it b because it’s so simple to add to your food by dropping in a sliver of the root with your favorite soups and stews, or even a marinara sauce. You can even reuse it by rinsing it under water and storing it in the refrigerator for a day or two–but not too long since it will become moldy. Be aware that this herb is designed for daily support, not for acute immune situations like when you’re actually come down with a cold or flu. Another way to use astragalus root to support healthy immune function is by taking a tincture orally or making a tea with a sliver of the root–but forget those pills and capsules! They are highly processed and often ineffective since ground herbs quickly lose their potency without something like alcohol (as in a tincture) to maintain potency. And…the pills and capsules are far more expensive. For more information on Astragalus, check page 189 in Take Back Your Body. 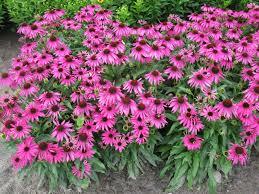 And again, choose a tea or tincture over the pills. The Essential Guide to Herbal Safety, written by Bone, offers some helpful, detailed information about this plant that most people can grow in their gardens (and it’s beautiful). Bone’s book is a great resource for herbal safety–and I don’t recommend most of the others. And remember…regular exercise is a proven way to keep your immune function strong. Join me MWF at 10:00 for Essentrics with Susan at Sundance Studio to get even more tips on staying healthy!